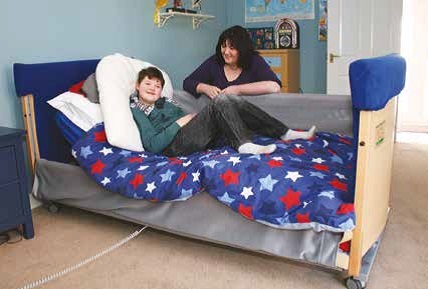 The height of a bed is critical to enable the user to transfer independently. A bed that is too low is difficult to stand from. Conversely, a bed that is too high is difficult to shuffle back on to and to lift the legs up on to. The firmness of the mattress will also make a difference. An old mattress or one that 'gives' under body weight, is difficult to shuffle on to or get support from when pushing up to stand. 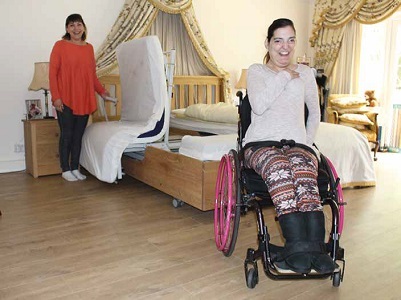 In some cases, it may be difficult to find a compromise between the optimum height for the carers who are helping with personal care or nursing activities, and a suitable height for your transfers. Height adjustable equipment is the ideal solution for this issue. This is also essential if one height is needed for getting out of bed and another for getting into it. If a hoist is used for transferring on and off the bed, make sure there is sufficient clearance under the bed for the hoist chassis, and that the hoist lifts to a height to adequately clear the bed. If you are having difficulty getting on/off your bed, we recommend you arrange an assessment with an occupational therapist. It is important that you have an individual assessment as there are many factors which may affect what is appropriate for you. Contact your local Health and Social Care Team for more advice and to arrange an assessment. Or you can talk to your GP about your mobility concerns, he or she can then refer you on to the correct service. 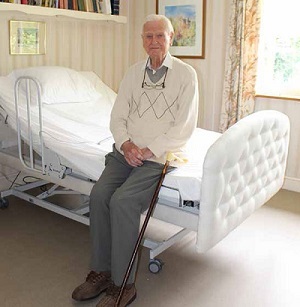 A bed lever is one piece of equipment that can be particularly helpful to assist you into and out of bed safely. Your Occupational Therapist can assess this and provide the lever if they feel it is appropriate. There are many other pieces of helpful equipment available, some that can be used independently and some that requires a carer (Disabled Living Foundation, 2018).